I mentioned last week that Iranian president Hassan Rouhani claimed that Iran always had very good relations with Jews. 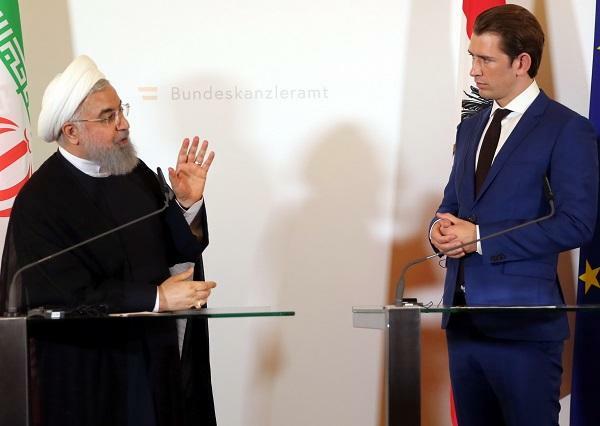 In remarks with Austrian Chancellor Sebastian Kurz, Rouhani said, "Some European countries have historic debts to the Jews that we do not have, but the Jewish nation also has a debt to us. We Iranians saved the Jews of Babylon. They are indebted to us, but the Zionists are an occupying and tyrannical group that oppressed the Palestinian people, besieged the Gazans, supported ISIL, and treated ISIL wounded." He is referring to Cyrus the Great who saved the Jews in Babylon. Now, a Saudi news site is seizing on Rouhani's claim that Iran loves Jews to point out that Cyrus is the one who allowed the Jews to return to Jerusalem to rebuild the Temple. So by referring to how Cyrus saved the Jews, Rouhani is implicitly recognizing Jerusalem as the capital of the Jews! Why else would Cyrus allow them to go to Jerusalem? I don't think that Iran denies that Cyrus allowed the Jews to return to Jerusalem and rebuild the Temple. Wikipedia in Farsi mentions it. Iranians know very well that Jerusalem was Jewish way before Islam existed.